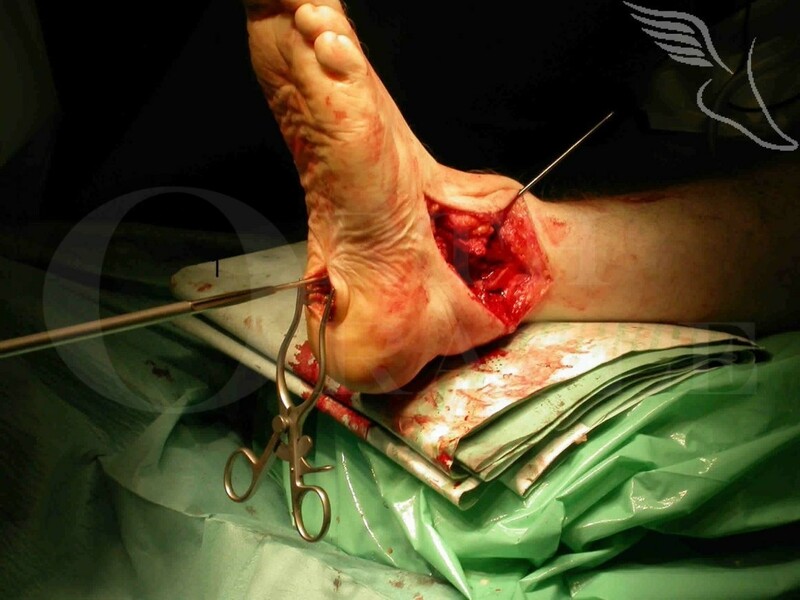 Learn the Double fusion (Tibiotalocalcaneal fusion) with De Puy Versa-Nail. surgical technique with step by step instructions on OrthOracle. Our e-learning platform contains high resolution images and a certified CME of the Double fusion (Tibiotalocalcaneal fusion) with De Puy Versa-Nail. surgical procedure. The fixation of a double fusion using an intra-medullary nailing technique is one of the commoner options utilised for combined Ankle and Subtalar degenerative change with or without deformity. It is a technique that should also be considered in revision ankle fusion cases without Subtalar arthritis and neurological cases presenting with ankle and hindfoot instability rather than deformity. In the correct patient (and using intra-medullary nail fixation) early load bearing may be achievable. Union rates in many published series are in excess of 90%. It can however be a technically challenging and relatively long operation to perform. The implant technique detailed is for the De Puy Versa-nail but the preparation of the arthrodesis described is the same irrespective of the implant type and to a large extent the technique also. A number of the technical details relating to the required steps during intra-medullary nailing are also shared with other nailing systems.